Making a space look desirable can sometimes feel a little overwhelming; small changes in your soft furnishings will often make a big difference. Gillian Arnold provides luscious colour and stylistic coordination in her range of sublime botanical themed home wares. 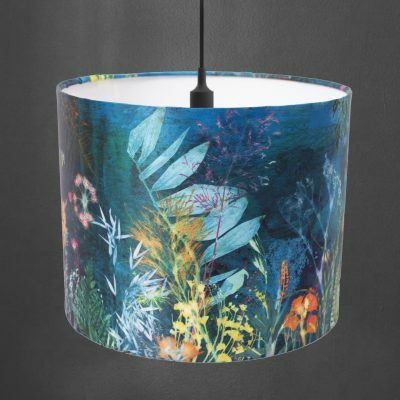 Gillian’s designs coordinate across her lampshades, cushions and wallpaper, so you can bring an artistic and thematic design into your home with ease, the only hard part is choosing which design you love the most!